Shop and Crop: New Card Kit! If you use the code DL5 when you order, you can get $5 off the purchase price. I’ve been making cards with the kit and getting the instructions all done. Here’s a sneak peek of a couple of the cards that you’ll be able to make with the kit. For today’s blog post I’ve also used the kit. 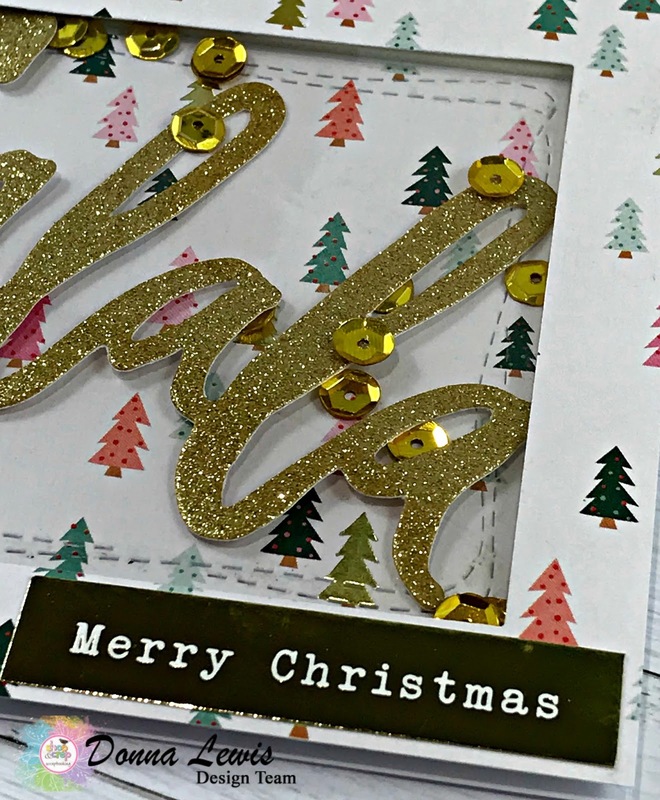 Even after making 12 cards, I have so much beautiful paper left over, and I’ve barely made a dent in the Ephemera pack that was jam packed with Christmas goodies, so I'm going to keep going! The only difference is that today's cards also use things from my stash at home. All the instructions for the kit cards use only what comes in the kit, so you don't need any special supplies. Firstly, I used my watercolours to make this night sky background. 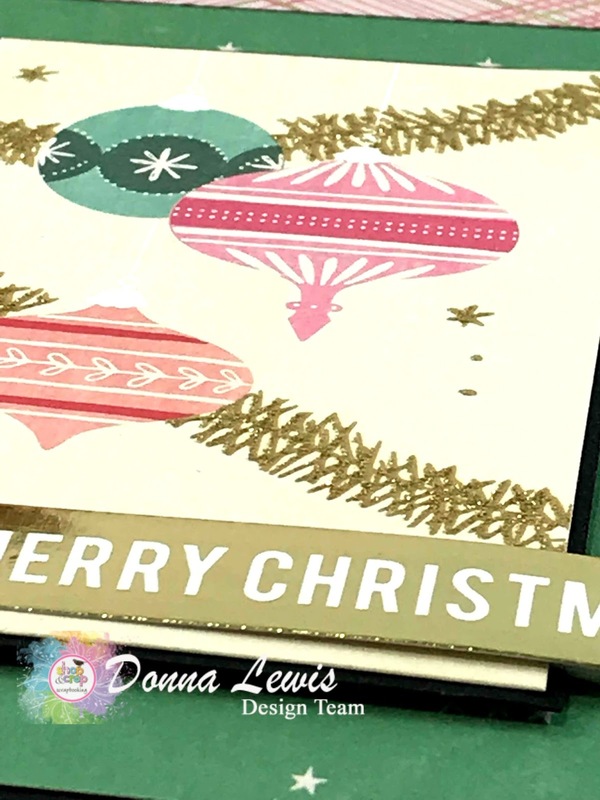 I love Christmas cards with non traditional colours, and even though it doesn't snow in Australia, I think this would be the perfect card for my friend in England. The two snowflakes come from the Ephemera that was in the card kit, and so does the Merry Christmas sticker, which I mounted up on dimensional tape. For this next card, I used a stamp that I had in my stash, and embossed the trees in gold. I also used some gold paint to spatter the background. Some sequins from the kit and another of these great stickers completed the card. 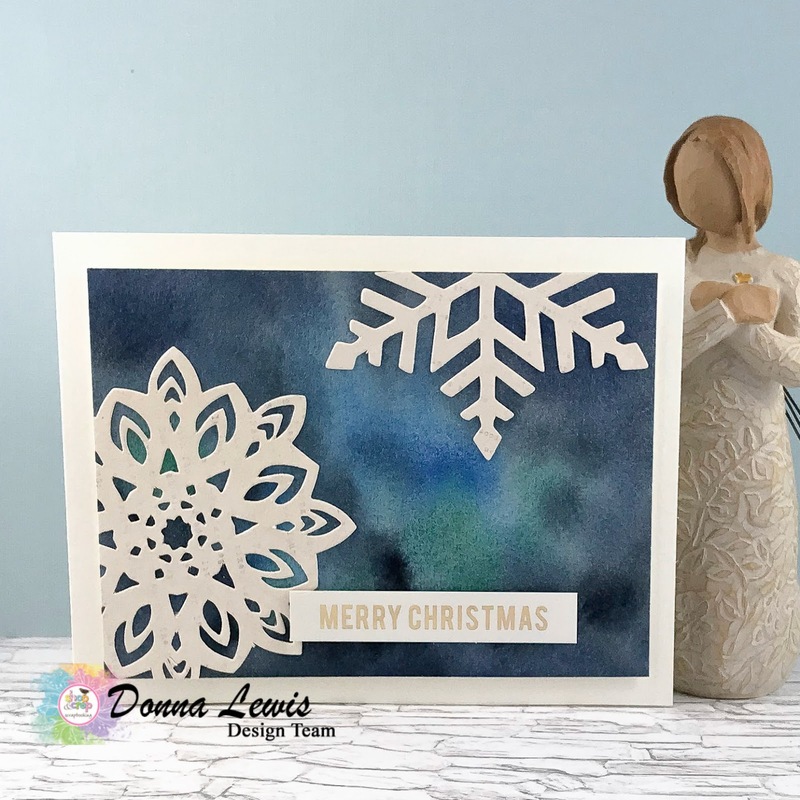 I'm so excited about the release of the card kit, and I hope that lots of people take it up, and use it as an opportunity to get all their Christmas cards done. I've tried to include both different techniques as well as some ideas for quick and easy cards that can be mass produced. I don't know about you, but I always need lots of cards at Christmas. Making cards with the kit has got me off to a great start! So, until next time, may your days be crafty, and your nights too! Labels: @donnadoll74, card kit cardmaking, card making, Christmas, Crate Paper, Scrapbooking, Shop and Crop Card Kit, shop and crop scrapbooking.